Fires and explosions can happen in just about any workplace when the circumstances are right, but in the construction industry, the circumstances are almost always right, which is why explosions are much more common than in any other industry. Explosions are dangerous, plain and simple. Even a “weak” explosion can result in several severe burns, injuries, and possible fatalities. Unfortunately, due to all the raw materials in most construction zones, construction zone explosions are rarely ever weak, and most victims come away with life changing injuries, which is why it is so important to understand why these accidents happen and who can be held liable. If you or a loved one was involved in a construction explosion accident and sustained catastrophic and life-altering injuries as a result, you deserve to be compensated for your injuries. Reach out to the Miami construction accident lawyers at Spencer Morgan Law to learn more about your legal rights and how you can go about proving liability for your injuries. Florida construction sites are just as susceptible to explosions as any other construction site in the nation. In fact, just this past November, an airbag in an underground pipe exploded in a development in Pavarotti Terrace in Palm Beach. A 27-year-old plumbing apprentice died in the accident, just 45 days after being promoted. Two others were injured. Last November, there was an explosion at the SpaceX launch site at the Kennedy Space Center. Fortunately, no one was injured in that particular accident. Each of these injuries is severe and can affect the way a person operates throughout their day-to-day life. Many of these injuries also leave a person unable to work for an extended period of time, with many victims unable to return to their former jobs at all. So, what can you or your loved one do? 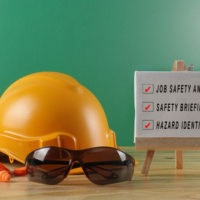 Construction companies are required by law to protect their employees from work hazards at all costs by implementing proper safety procedures and protocols. Explosions, for the most part, are extremely preventable, especially when the right standards are in place. Thanks to knowledgeable fire investigators, it is fairly easy to determine the cause of an explosion. With a solid idea of what caused the explosion, our legal team at Spencer Morgan Law can piece together what led to the accident and who was responsible for preventing it. We can do this by reviewing safety policies and procedures, going through work logs and documents, checking materials to see if all are up to regulation, and figuring out what, if any, hazardous materials were on site. Determining liability is just the first step of many in a Miami construction accident claim. Our construction accident lawyers will fight on your behalf to not only prove liability, but also, to show how your life was negatively impacted by the explosion and why you should be compensated generously for your damages. If you want to start building your case today, give out team a call or schedule your appointment online.